Jada Pinkett-Smith and Will Smith aren't the only ones boycotting the Oscars this year. 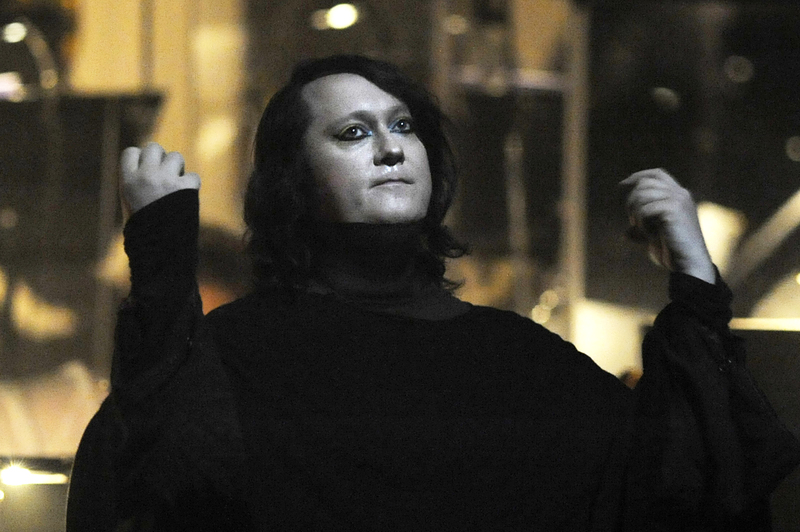 But singer Anohni has a much more personal reason for sitting out the big show. Anohni, the first transgender performer to be nominated for an Oscar, is one of two Best Song nominees not included in the roster of performers for Sunday's ceremony, while fellow nominees Lady Gaga, the Weeknd and Sam Smith will be singing their nominated songs during the telecast. The fifth nominee's composer David Lang's "Simple Song #3" performed by South Korean singer Sumi Jo, will also not be featured. In a lengthy letter posted to her website, Anohni explained why she will not be attending despite being a nominee for her song "Manta Ray" for the documentary "Racing Extinction." Trump calls Spike Lee's Oscar speech a "racist hit"
"Everyone told me that I still ought to attend, that a walk down the red carpet would still be 'good for my career,'" she wrote. "I tried to force myself to get on the plane to fly to L.A. for all the nominee events, but the feelings of embarrassment and anger knocked me back, and I couldn't get on the plane. I imagined how it would feel for me to sit amongst all those Hollywood stars, some of the brave ones approaching me with sad faces and condolences. There I was, feeling a sting of shame that reminded me of America's earliest affirmations of my inadequacy as a transperson." "I want to be clear -- I know that I wasn't excluded from the performance directly because I am transgendered," she continued. "I was not invited to perform because I am relatively unknown in the U.S., singing a song about ecocide, and that might not sell advertising space." You can read the full essay on Anohni's website.